The Sessorium, a building known in later times as the palatium Sessorianum, was standing in the first century, when it is mentioned as being near the spot where the execution of criminals took place. The origin of the name is unexplained, but the building became an imperial residence in the fourth century and was a favorite home of Helena, the mother Constantine. Its site is known, for the Church of S. Croce in Gerusalemme occupies one of the halls of the ancient palace. This rectangular hall, 34 meters long, 21 wide, mad 20 high, resembled closely the templum Sacrae Urbis of Vespasian both in construction and scheme of decoration. It was converted into a church by Constantine, who added the apse at the east end, while the columns were not set up until the eighth century. North of the church, in the garden, are the remains of another hall of the Sessorium, consisting of an apse and the walls on each side. This hall was not destroyed until the sixteenth century. North of S. Croce in the vigna Conti are the ruins of some thermae, including a piscina, which are known to have been restored by Helena after a fire and are therefore called the thermae Helenae. 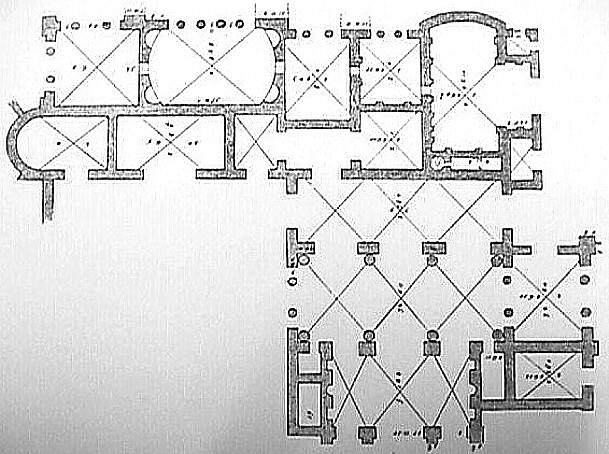 Complete plans of these baths, made by Palladio and Sangallo in the sixteenth century, are in existence, but the ruins themselves are very meager. 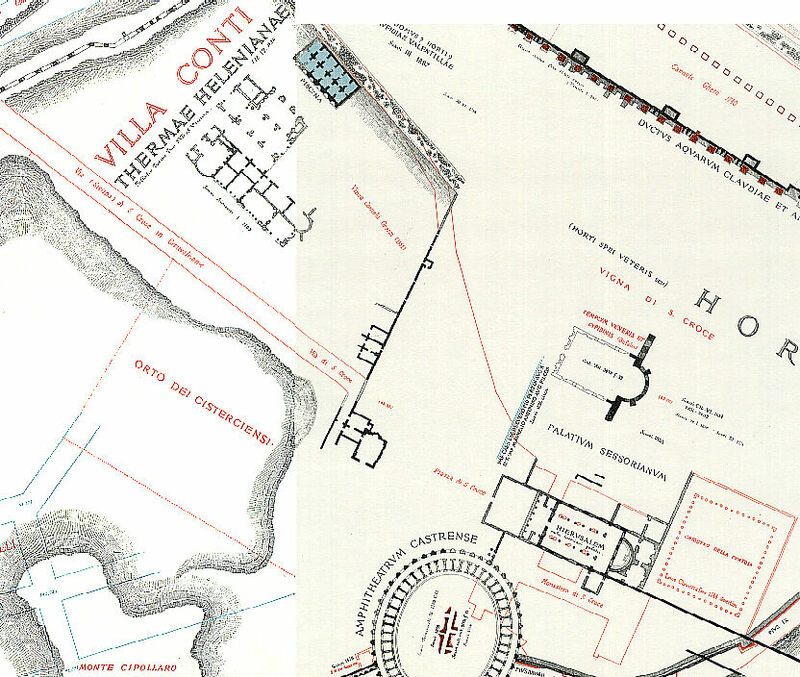 Samuel Ball Platner, The Topography and Monumants of Ancient Rome (Boston: Allyn and Bacon, 1904), p. 448.